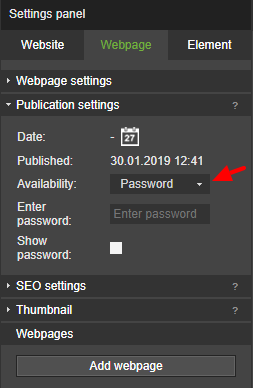 Password protection allows you to control who sees content on particular subpages because access to them have only users who know the password. Enter a subpage which you want to password protect. In Settings panel select "Webpage" and in "Publication settings" change availability to "password".